MMO MMORPG News·Articles·New Fiesta Patch – It’s All About Guilds! New Fiesta Patch – It’s All About Guilds! The latest patch for the free-to-play MMORPG Fiesta is now live! It introduces a multitude of exciting new guild features, including guild storage, a guild ranking system, and the much-anticipated guild academy. Players can now share their in-game currency and valuable items with other guildmates using a new guild storage feature, making transferring items between characters and friends even easier. The guild academy has also opened its doors, giving new players an easy and exciting way to get involved in the Fiesta community. Every guild now has its very own guild academy, and players below level 40 can join up and start earning points for their guildmates simply by leveling up. Every Thursday each guild’s point total will be tallied, and the top seven guilds will receive a powerful buff for the entirety of the next week. All the guild academy members’ hard work won’t go unrewarded – academy members earn items and in-game currency from guild storage every time they level up, and after graduating from the guild academy at level 40, their names will be forever recorded in the guild’s hall of fame. The guild academy master at the head of each academy also receives cool new abilities, including the option to warp to any other academy member’s location and a distinctive visual aura. 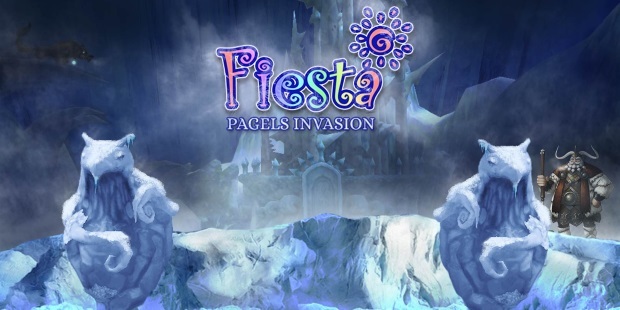 Whether you’re a brand new Fiesta player looking to join a guild and get more involved in the Fiesta community or a seasoned veteran ready to boost your guild to the next level, the latest Fiesta patch offers something for you.